Words of Sympathy. If you are struggling to say how you feel, these may help. 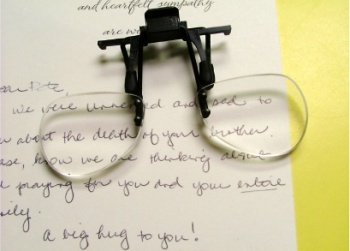 Words of sympathy offers words of love, hope, peace and support to share with someone hurting. This is a difficult time for the person trying to express feelings for the loss of another, and the 'right' words may not come easily. If sympathetic words, are difficult to say. Write them down first. They will be easier to remember that way. Sympathy is described as the sharing of feelings of others. It also includes the feeling of sorrow. Often it is difficult to find words to say to someone who has suffered a loss. It is best if the words of sympathy are filled with hope and caring. The words should be genuine and come from the heart. Caring words will let someone know that you are hurting with them and that you will be there when they may need you. *You are in our prayers. *Our condolences are for you and your family. *I am sorry for your loss. *What can I do for you at this time? *You have my deepest sympathy. *I am here for you. Please let me know what I can do. *__will always be in our hearts and minds. **Months after my son's death, my sister would call me. I still had a hard time talking about my son and our conversations would be somewhat silent. She would listen to my quiet, which I greatly appreciated. We did not need to fill the silence with words. I am forever grateful for that time, to just remember Alex, and not have to put anything into words. Silence and listening is a great gift to another. Just as there are words to convey caring and healing, there are other words that may cause one to be unsettled at this time. *He/she was in so much pain. *Give me a call when you feel like talking. *Time will make it better. *I know how you feel. *It is time to get on with your life. **Someone asked me, shortly after the death of my son, to talk about him. I started to, didn't get very far, and began to cry. It was simply too soon to put into words, all that my son was to me. I think it is best to leave the talk about the loved one, who is no longer here, for the survivor; to begin this conversation when they are ready. Finding the right words of sympathy can be difficult. Often, people would rather not say anything than offer words they may feel are awkward. Kind, caring words of sympathy will be appreciated and show that you care.